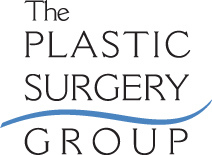 The Plastic Surgery Group in Albany have extensive experience in liposuction. Liposuction removes fatty deposits around their waists, legs, arms, buttocks, and other parts of their bodies and achieve tighter, smoother, more defined contours. Liposuction is performed through small incisions using a narrow tube, called a cannula, and a suctioning machine. Your plastic surgeon will move the cannula under the skin to remove the excess fatty tissue. You may feel some moving sensations or some minor irritation during the procedure if you have a local anesthesia. You will also be given plenty of fluids during the procedure to replace those that are lost. Immediately after your liposuction surgery, you won't likely notice a big change in the way you look. In fact, you'll probably think you look worse than before your surgery. You will be bloated because of the liquids you received during the procedure, and a small tube for draining this will be placed in the area of the liposuction. You will see swelling and some bruising. You may have some discomfort around the area of the incisions, which can be relieved by prescription medication from your plastic surgeon. You may also feel some numbness or loss of feeling around the area of the liposuction, but this will only be temporary. For the first few weeks following your liposuction procedure, you will wear a compression garment that will help treated areas conform to their new shape. After a few weeks, you'll be able to remove the garment at night and will just need to keep it on during the day. If there were stitches placed during your liposuction procedure, they will most likely come out in a few days following your procedure. Liposuction is a safe and effective way to achieve a more contoured body shape. Complications rarely occur during a liposuction procedure. In some instances an excess accumulation of fluids may build up, which can be drained through a small tube.